Kelmscott is a quiet rural Oxfordshire village only 5 minutes’ walk from the river Thames. It is famous for Kelmscott Manor, which was William Morris’ summer home and now exhibits his designs. The village is just a few minutes’ drive away from the pretty market town of Lechlade and a few miles on is the Cotswolds gateway town of Burford. 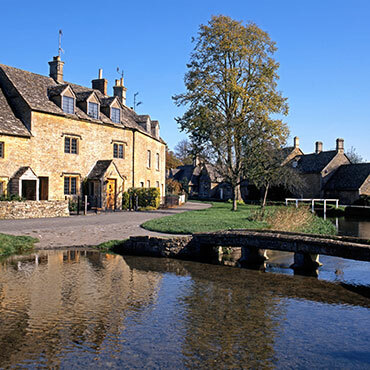 The Cotswolds is a designated area of outstanding natural beauty and made up of the three counties of Gloucestershire, Oxfordshire and Wiltshire, each with their historic riches, places of interest and internationally renowned annual events. Our location in the small hamlet of Kelmscott is rural, but very accessible, with good road links from M40, M5 and M4, London is only 1 ½ hours’ drive away. The business and tourist hubs of Swindon, Oxford and Cheltenham are all within 40 minutes’ drive of us. For those looking for a good day out we are less than hour from the racecourses at Cheltenham and Newbury, the same driving time to the main equestrian events of Badminton, Gatcombe and Blenheim, each a fantastic spectacle. The car racing circuits of Silverstone, Castle Coombe and Thruxton are also within each reach. If cycling is for you our quiet roads, flat landscape and picture perfect villages are just waiting to be explored. And of course the Thames also offers good fishing, or hire a rowing boat, Wind in the Willows style and just take it easy. There are many stately homes and gardens to explore including Blenheim Palace, Buscot Park, Kelmscott Manor & Lodge Park. Oxford, Cheltenham & Cirencester are all towns within 45 minutes drive of us for some cultural indulgence or a just a spot of shopping. In July the skies are taken over by the International Air Tattoo at Fairford, the coloured smoke of the Red Arrows overhead is always a joy to watch as are the many international air display teams that feature at this top event. Throughout the summer there are plenty of local events including open gardens, fetes, duck races, beer & music festivals. Regular updates on our Facebook page. For country sports enthusiasts, we can recommend local shooting grounds, equestrian facilities, fishing lakes etc. Simply get in touch for details.